Marshall Govindan ("Satchidananda") has practiced Babaji's Kriya Yoga intensively since 1969. 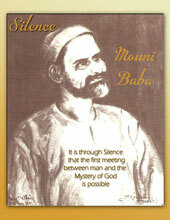 In 1991, he wrote the best selling book, Babaji and the 18 Siddha Kriya Yoga Tradition, now published in 16 languages. 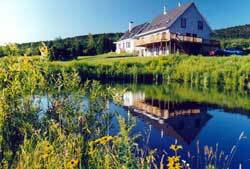 In 1992 he established Babaji's Kriya Yoga Ashram in St. Etienne de Bolton, Quebec. Classes, seminars and retreats are offered there year round. Since 1989 he has personally initiated over 12,000 persons in Babaji's Kriya Yoga in a series of intensive sessions and retreats in over 20 countries. In 1995, he retired from a 25 year career as an economist and systems auditor to devote himself full time to teaching and publishing in the field of Yoga. In 1997 he founded a lay order of teachers of Kriya Yoga: Babaji's Kriya Yoga Order of Acharyas, a non-profit educational charity, incorporated in the USA, Canada, India and Sri Lanka, presently with 31 members. In October 1999 he was blessed with the darshan of Babaji Nagaraj near his ashram in Badrinath, in the Himalayas. Since 2008 he has been building an ashram there. Since the year 2000 he has directed a team of scholars in a large scale research project encompassing the whole of the literature related to the Yoga of the Tamil Siddhars. Six publications have been produced by them to date. He is a graduate of Georgetown University School of Foreign Service and George Washington University in Washington, D.C. He is married to Durga Ahlund. "Marshall Govindan Satchidananda is not only the most famous Yoga Master of Kriya Yoga in the world, he also has done an amazing job for Kriya Yoga, I can only compare with Paramahansa Yogananda. Govindan Satchidananda is the spirit of Babaji"
Jan Durga Ahlund, (B.S.Ed) has been practicing and studying Yoga since 1967. 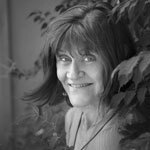 She shares her experience of Yoga as a writer, teacher of Hatha Yoga, Kundalini Yoga, and Kriya Yoga and as a Phoenix Rising Yoga Therapist, which uses Yoga for emotional release. She gives Initiation seminars in Kriya Yoga, all over the world. She co-authored, performed, and produced with her husband Marshall Govindan, the Yoga video, Babaji's Kriya Hatha Yoga, Self-realization through Action with Awareness. They have also co-authored several books on spiritual Yoga. Durga developed a two-year correspondence course called The Grace Course, which is a course of Yoga and self-study. She developed and teaches a 200- hour Hatha Yoga Teacher Training Course worldwide, giving trainings in India, Canada, Germany, Estonia, Brazil and Spain. Her two latest books are “Deepening your Practice,” and “The Yoga Toolbox: An everyday guide for shaping your future.” She and her husband Marshall Govindan take students on pilgrimages to India twice a year. She gives weekly classes at her home in Daylesford, Victoria, Australia (1 hr from Melbourne), and teaches Kriya Yoga in seminars all over Australia and abroad. The Kriya Yoga Retreat Weekend recenly at Daylesford left me inspired and rejuvunated. Thanks Rohini for a relaxing and informative weekend. I was inspired to learn that through the breath, meditation and asanas (postures) one is able to uncover their spiritual source. I have noticed more flexibility in my knee recently which up until the retreat I was unable to bend due to osteoarthritis. Rohini helped me , through breathing to relax my mind and therefore my body. What inspired me the most was the realisation that meditation can draw experiences which you seek closer to you, and deep and proper breathing brings deep relaxation. I had realisations about myself and my life. I recommend this retreat as an introduction to kriya yoga in the warm, lovely surroundings of Daylesford with the lovely yogini Rohini. Shantiananda has been actively studying Yoga since 1970 and was first initiated into Babaji’s Kriya Yoga in 1991. In 1993 while assisting Marshall Govindan during a Kriya Yoga initiation seminar, she experienced Babaji’s Presence. This inspired her to continue herself to the practice of His Kriya Yoga. In July 2001 after several years of rigorous training, she became a member of Babaji’s Kriya Yoga Order of Acharyas, authorized to teach the first initiation seminar. She currently offers initiation seminars in the Southwest USA. 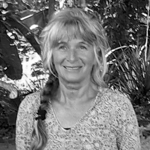 Shantiananda holds a Master’s degree in Counseling Psychology. She worked for many years as a community development Human Services Coordinator for the City of Scottsdale before her retirement in 2008. She is now engaged as a Stress Management instructor at Arizona State University in Tempe, Arizona. It is her hope to continue to spread Babaji’s teachings so that others can access the tools that will help support their spiritual development. Nityananda (Nacho Albalat) is a native of Valencia, on the east coast of Spain. He was initiated into Babaji's Kriya Yoga in 1997, learned the advanced Kriyas in 1998 and 1999, and since then has practiced them faithfully. He has also actively collaborated in the diffusion of Babaji's Kriya Yoga throughout Spain by organizing seminars and translating publications. 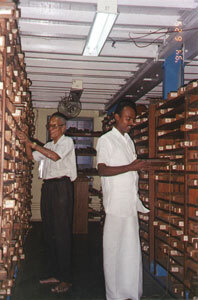 Bachelor of Information Sciences, is the author of the books "The Yoga of Jesus", "Recovering the Being" (both available in English), "Teachings of Sri Aurobindo and the Mother", "Teachings of the Mother", and has translated into Spanish the books "The Yoga of the 18 Siddhas", "Kriya Yoga Sutras of Patanjali" and "The Voice of Babaji", among others. His website offers many texts on Kriya Yoga and spirituality He is married and he has a daughter. Click here to read a profile article by Sharanadevi. M.D. Satyananda, Yogaacharya in Babaji’s Kriya Yoga Order of Acharyas since 2005, gives seminars with first, second and third initiation into Babaji’s Kriya Yoga worldwide, mainly in Europe, India and the East. 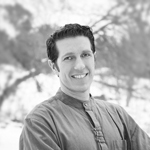 Certified in Psychology and Psychotherapy, he has worked in clinical and corporation settings. After studying spiritual wisdom of the world since childhood, and Vedanta and Yoga for more than a decade in India and the West, he dedicated one decade exclusively to intense study and practice of Babaji’s Kriya Yoga and to Karma Yoga serving its students. Since more than one decade he offers programs on Babaji’s Kriya Yoga, Yoga psychology and metaphysics, individual counseling, and offers regularly pilgrimages to India’s sacred places and holy masters. "Satyananda is a highly informed and gifted teacher, adept at introducing powerful practices accessible and attainable to non-adepts without diluting their essence, effectively and precisely merging the essence of the various yoga paths into an unified whole." Ishvarananda (Ingvar Villido) had his first experiences with yoga as a teenager, and started his regular practice in the early 1980s. 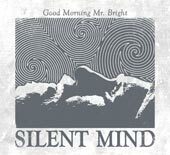 In 1992 he began teaching yoga and a wareness practices. In 1993 he founded the Lilleoru intentional community near Tallinn in Estonia, which has grown into an international educational hub. He has received initiations from several lamas and yogis from Tibetan Buddhist traditions and Dzogchen, as well as Shri Muniraj, a disciple of Herakhan Baba. After decades of intense study and practice, it was Babaji’s Kriya Yoga that helped Ishwarananda to put all the pieces together. He was initiated into Babaji´s Kriya Yoga in 2004 and became an Acharya in May 2007. Ishwarananda gives initiations to all three levels of Babaji´s Kriya Yoga. 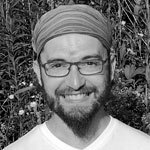 Since 2008 he has been teaching the Art of Conscious Change courses which help to release inner obstacles and improve the quality of practice. Click here to read the profile article by Ishwarananda, or visit the webpage of Lilleoru for more details on initiations and satsangs in Estonia. Through my explorations of the world and human nature as well as through my studying of sacred literature during long sea voyages, pilgrimages and retreats, I learned to recognize the universal presence of an essence which animates and unites all of us.arents. Currently	living	in	Grenoble - the	capital	of	the	Alps and an	important	center	of scientific activity in	France. He is	a	father of	three	grown-up daughters. Turyananda	discovered	Hatha	Yoga in	1992 with	a	French	teacher	whose	teaching	deriving from	a	Mexican	solar	tradition	enlightened	his	being. He	was	initiated	into Kriya Yoga	in 1998	by M.G. Satchidananda	on the Reunion island. He	completed	a	spiritual	retreat	in 1999	before going on	a	pilgrimage to Tamil Nadu in 2000. During this	trip,	being	carried	by the Indian	fervor Turyananda	discovered the meaning of surrender in	the	most profound	part of	his	being. At the age of	36 he	had	discovered his path. 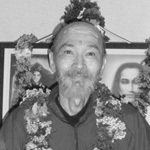 In 2006	after	many months	of intense practice	he became	an Acharya. On this	path Babaji	proposes him to	go forward by	letting	His	message	flow. He gives him	the	sensation	of awakening His thoughts	and	projecting them	to the	outside. In a way this	creates	the	opportunity	to discover	Him	by the continuous	hatching of	His	word,	and	in this	way	to uncover this	mystery	to others. He is	surprised	by the	impact that	his	words	have on	others and wants to	believe	that it	is due uniquely	to the benevolence of Babaji	and	the	Siddhas. Their	message	remains	a	compelling necessity in	a	world	in which the lost, sprawling humanity	must find	its	way	home to	that which Is, that	which	we truly are,	with the help	of wise	shepherds, if	not	smugglers. Ganga Devi has a teacher degree from Hungary and she began her spiritual journey in 1990 when she moved to Canada. 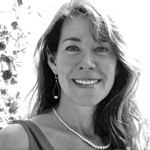 She has intensively practiced yoga since 1995 and gained more than 9,000 hours of teaching experience since 1998. She opened her studio, the YogaRoom in Downtown Barrie, Canada in November 2005 and operated it until December 2016. Since 2008, Ganga devi is working with motor vehicle accident sufferers through law offices and insurance companies. In 2016, she was invited to teach basic anatomy, alignment and hands on assisting at the Kriya Hatha Yoga Teacher Training at the ahram in Montreal. Ganga's daily practice and main teaching combines the ancient Indian tradition of Kriya Yoga with the Western style of Vanda Scaravelli’s method. She was greatly influenced by her teachers: Durga Ahlund, M. G. Satchidananda, Esther Myers, Diane Long and Sat Dharam Kaur. Certificate in Basic Laughter (Hasya) Yoga. Ganga devi's goal is to continue to help others to have happier and healthier lives by expanding their Yoga practice from the mat or cushion into everyday situations. May the loving grace of Babaji guide us on our path towards Self-realization. Born as Gowri Varadhan in Salem, Tamil Nadu (India), to parents Shri. Radhakrishnan and Shrimati. Kalavathi, Gowri obtained a Bachelor’s degree in Engineering, Information Technology and works as an investigative data analyst. His study of spirituality began during his teen years when he was introduced to the writings of Swami Vivekananda and he grew especially drawn to the teachings of Sri Ramana Maharshi and Seshadri Swamigal of Tiruvannamalai. Being from the Tamil culture, Gowri greatly appreciates the various Tamil Siddha traditions and their perspective potentials in the context of God Realization. He is also initiated into Sri Vidya Sadhana. Understanding Advaita through the eyes of Ramana, Gowri was able to also understand and appreciate other schools of philosophy such as Dvaita and Vishisht Advaita as different perspectives of the same truth. In the early 2000’s, Gowri found the Autobiography of a Yogi by Paramahamsa Yogananda, which introduced him to Mahavatar Babaji and Kriya Yoga. This, along with Babaji and 18 Siddha Kriya Yoga Tradition, by Marshall Govindan convinced him that Kriya Yoga was a perfected, scientific and authentic lineage of teachings of the Yoga Siddhas available for mankind to attain Self-realization. In the year 2008, he was initiated into Babaji's Kriya Yoga (both First and Second initiations) by Marshal Govindan Satchidananda and has been practicing ever since. In 2011, he was initiated into all the 144 Kriyas in Bangalore, which were taught in three initiations and also took the intensive Babaji’s Kriya Hatha Yoga Training at the Quebec Ashram. Gowri has been studying, practicing and training to be an acharya for many years. He has served as translator in a number of Kriya Yoga initiations in India for the benefit of Tamil speaking population not comfortable with English. He married in 2014, and he and his wife Kiran currently live in Kuala Lumpur, Malaysia. He offers free Kriya Hatha Yoga classes every week there and leads Kriya Yoga Satsangs where group sadhana is practiced followed by discussions on spiritual matters. Gowri is deeply grateful for the support, guidance and encouragement received from MG Satchidananda ji, Durga ji, Satyananda ji, Nandi Devar, Vyasa and above all Sadhguru Babaji and Paramaguru Agasthiar. Gowri also feels the blessings of being born to parents who have supported him so whole-heartedly every moment of his life. I became an atheist before the age of 14 and continued to be an atheist until 28. During this time, I had two remarkable spiritual experiences. The last one definitely dismounted my materialism and brought me back to the spiritual path. Before that, I came to know about the existence of Babaji, through the Autobiography of a Yogi, of Paramahansa Yogananda. Years later, I had the grace of experiencing his presence directly, in a session of “Holotropic Breathwork", coordinated by my friend and psychologist Doucy Douek (acharya Saraswati Karuna Devi).